From where I sit, it's Christmas Eve. It's a big deal, even for non-Christians like me, because even heathens enjoy the holidays. 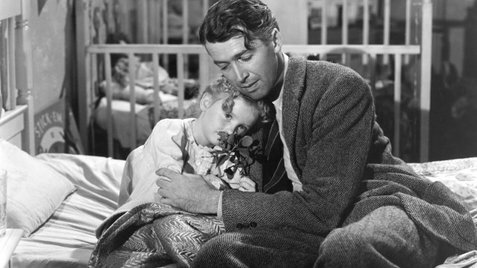 George Bailey is the reason for the season, you guys. Totally. I still haven't finished shopping. I haven't even begun wrapping. I'm not sure what I'll be doing on Christmas Day, as Precocious Daughter will be with her dad and I haven't yet heard from my sister. It's not that I mind spending Christmas Day on my own. I just need to know that no one is expecting me, so I can spend the day in my jammies drinking vodka, you know? I like that kind of stability. I'll post again on Christmas. In the meantime....I love you all.